At the age of 77, Thomas Jefferson was already an established man in the newly formed America. By the year 1820 he already had enough accomplishments for two or three lifetimes of lesser men. As author of the Declaration of Independence, and President of the United States, Jefferson left many volumes of work for us to judge him by. But in 1820 he published something that he had been working on for a long time. 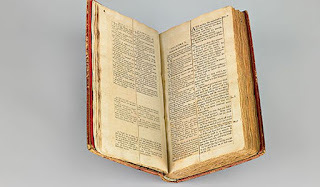 What came to be known as “The Jefferson Bible” actually carried the title “The Life and Morals of Jesus of Nazareth.” Jefferson was a deist at best, and was called a “howling Atheist” by opponents in the 1800 presidential election. So for him to publish a religious book might have been a surprise. 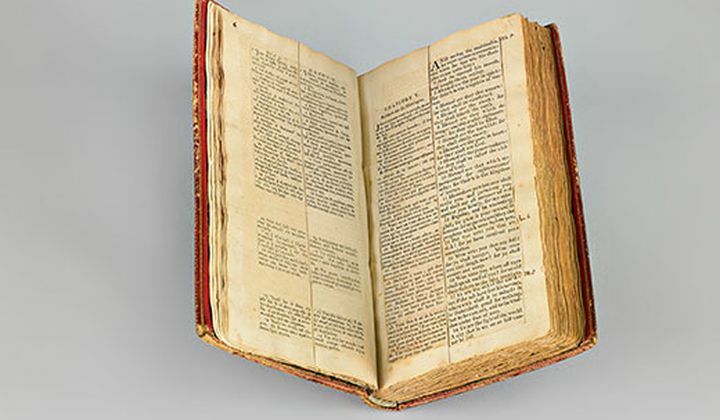 Jefferson pored over six copies of the New Testament, in Greek, Latin, French, and King James English. Then, with careful precision, Jefferson cut out the pieces of the New Testament that he didn’t agree with. All references to the supernatural, to miracles, and things “contrary to reason” were removed. He left the teachings of Jesus, such as the Beatitudes. His “bible” concluded with the death of Jesus and his being laid in the grave, but left out the resurrection. As someone who stands up every week and proclaims the entire counsel of God’s word, I shudder at what Jefferson did. This is making God in our image, instead of conforming our self to the image of God. If you are reading this, you are likely also to shake your head at what Jefferson did. If you believe the Bible is the Word of God, and doesn’t merely contain the Word of God, then what Jefferson can be seen as nothing else as an assault upon God himself. We are right to shake our heads, of course. The scripture makes clear that is inspired by God, and profitable for all sorts of things. We can’t merely take out the part we disagree with. What a foolish thing to think that we can overturn the eternal words of God with a pair of scissors. The problem is that all of us, you and me included, are functional Jeffersons. I doubt you have taken scissors to your Bible like he did, but there are verses that we just flat out choose to ignore. We have all sorts of reason for doing so. We might deem them as standards to high to live by, or unreasonable expectations. We might feel that they step on our toes to much, and if we take that passage seriously we would have to change the way we live, act, or work. There are passages that you and I read over and just flat out choose to ignore. You know which ones I’m talking about. Every time we ignore these verses, we are acting as Functional Thomas Jefferson’s. At least he had the integrity to be true to what he believed, even though he was wrong. We say we love the entirety of God’s word, but then rush by, gloss over, or just flat out ignore the verses that hit us in the wrong spot. When the light of God’s word is put on the darkness of our hearts, we must respond by removing that sin with the help of the Holy Spirit. When we do otherwise, when we cut out the parts of scripture that we don’t agree with or just plain don’t like, we are no better than Jefferson. Whether the knife we take to scripture is in our hearts or in our hands, we must lay it down and submit the entirety of our lives to the entirety of God’s word.